使用者の名前 申込は失敗 ﾊﾟｽﾜｰﾄﾞ Lost Password? 使用者の名前 The provided e-mail address is not registered in our system. The password has been sent to the provided e-mail address. Rainer Honeck, born in 1961, started learning violin at the age of seven; he pursued his studies at the High School of Music and Performing Arts in Vienna with Edith Bertschinger and privately with Alfred Staar (a member of the Vienna Philharmonic Orchestra). Rainer Honeck joined the Vienna State Opera and the Vienna Philharmonic Orchestra as a first violinist in 1981, advancing to the position of concertmaster in the Opera in 1984 and to that of concertmaster of the Vienna Philharmonic Orchestra in 1992. While his work with the orchestra remains central to his musical life, Rainer Honeck is a renowned soloist, with concert appearances in Austria, Europe, Japan and America. Personal highlights were solo performances with the Vienna Philharmonic, the London Symphony, the Pittsburgh Symphony Orchestra, the Symphony Orchestra of the Mariinsky Theatre under renowned conductors like Herbert Blomstedt, Semyon Bychkov, Adam Fischer, Daniele Gatti, Valery Gergiev, Daniel Harding, Manfred Honeck, Mariss Jansons, Riccardo Muti, Andres Oroczo Estrada, Kiryll Petrenko and Michael Tilson Thomas. Recordings of note as concertmaster include live productions of Rimskij-Korsakow’s Scheherazade with the Vienna Philharmonic and Seiji Ozawa (Philips) and Richard Strauss’ A Hero’s Life under Christian Thielemann (Deutsche Grammophon). He has further recorded Dvorak’s and Mendelssohn’s Violin Concertos with the Czech Philharmonic in Prague (Pony Canyon label), Franz Schubert’s Complete Works for Violin and Piano (Frohla Studios), a double CD of Mozart’s Violin Concertos released under the Orfeo label as well as an interesting "Rondo" CD as soloist and leader of the Chamber Orchestra Vienna-Berlin (Sony). 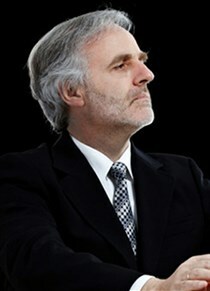 Rainer Honeck’s intensive work as a chamber musician - founding member and leader of the Wiener Virtuosen, of the Vienna String Soloists, primarius of the Ensemble Wien and since 2008 of the Chamber Orchestra Vienna-Berlin - is also well documented in radio, television and CD productions. Rainer Honeck plays the “Chaconne” Stradivarius violin (1725); the instrument is a loan from the Austrian National Bank.